Take yourself on a getaway to the heart of Nova Scotia’s farming country. 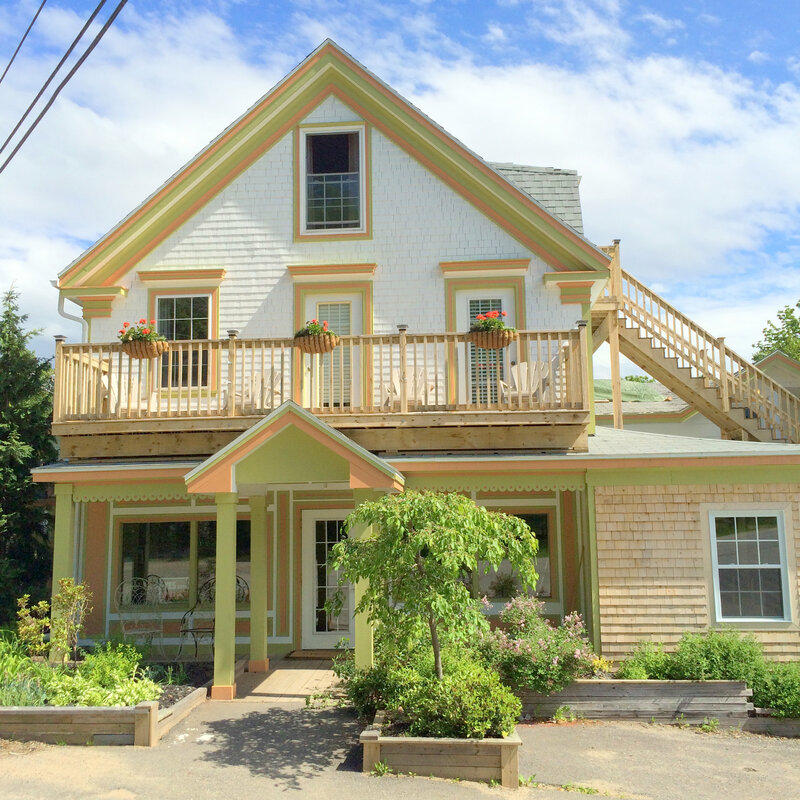 Our 4-Star Inn is newly renovated and updated throughout. 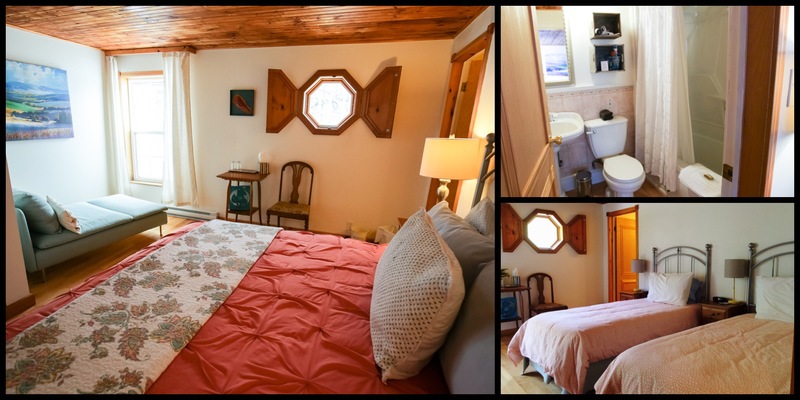 The Inn includes five well-appointed guest rooms, a TV lounge and private Inn entrances. 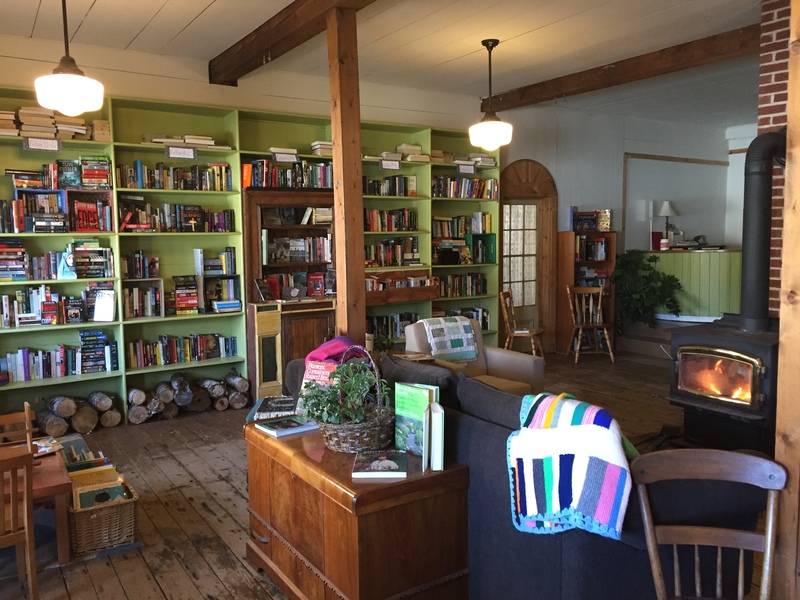 Guests may enjoy the onsite restaurant, cooking school, art gallery, gourmet food & gift shop and used book store with cozy seating area by the wood stove. 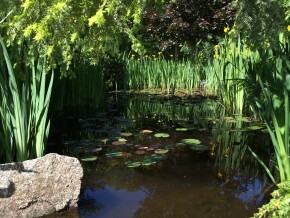 Enjoy the view of the gardens and frog pond from our licensed patio. 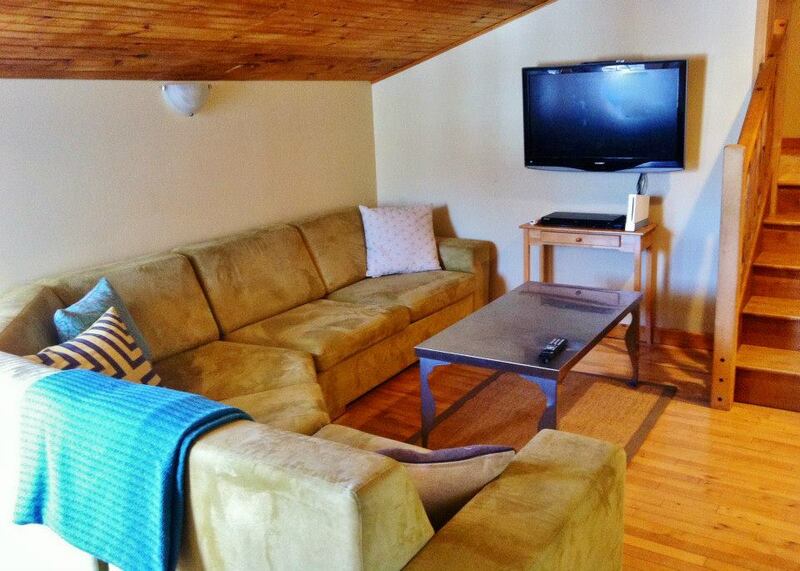 Our room rates start at $130/night, plus applicable taxes. Your accommodation includes a hot breakfast served in our restaurant. We also offer accommodation packages including meals, cooking school classes and other unique culinary experiences. We have a variety of room arrangements available with either 1 King or 1 Queen bed. We have two rooms that may be made up to have 2 Twin beds for a $20 fee. 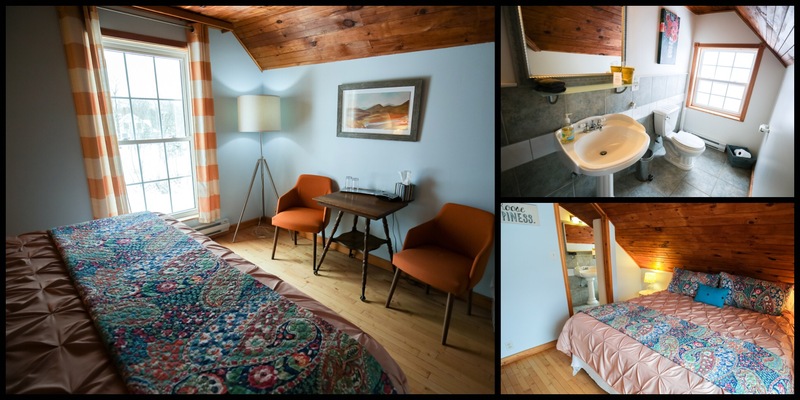 Room 5 is our largest room and has a King bed and seating area, or may be made up to have 2 Twin beds and also has a Double pull-out (both options available at an extra charge). 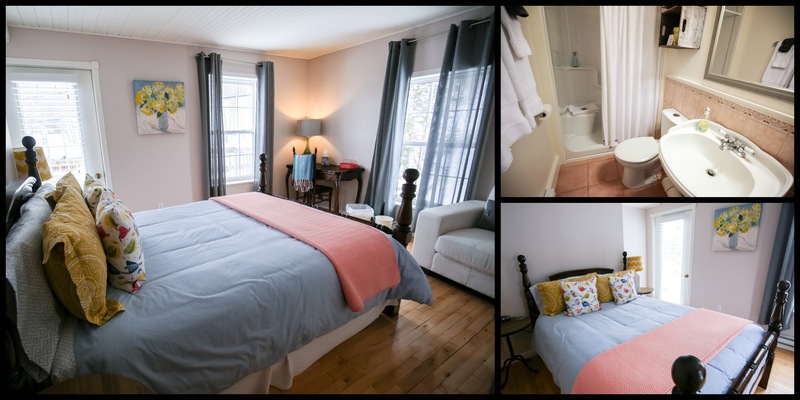 All of our rooms have ensuite bathrooms and plush linens. Our property is the perfect location for a private getaway or group retreat. Contact us to discuss options for your family gathering, corporate event or club meeting. We invite you to visit for a night or stay for your whole vacation! Our standard offering includes one room in our beautiful Inn and a fresh, hot breakfast for two people in the morning accompanied by Just Us! Organic & Fair Trade coffee & tea. You are welcome to enjoy the gardens and charming common areas during your stay. Browse the gourmet food shop for treats to take home and the used book store for your next great read. Add a dinner reservation and there’s nothing to do but relax and enjoy your stay. Details: Package includes accommodation for two people for one night (1 room) and breakfast for two people. Available year round, subject to room availability. 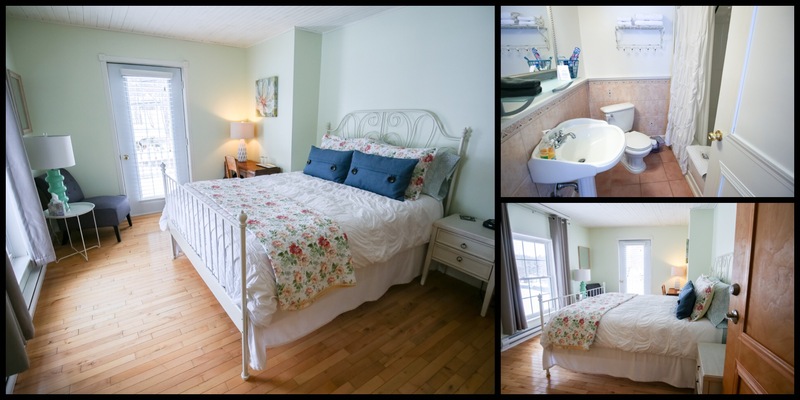 Call to book: 902-633-2300, 1-844-633-2300. Escape to the Rising Tides Shore for a night (or more) with the one you love. Whether you’re celebrating an anniversary or just taking a night away, The Flying Apron is the perfect spot for a Romantic Getaway. 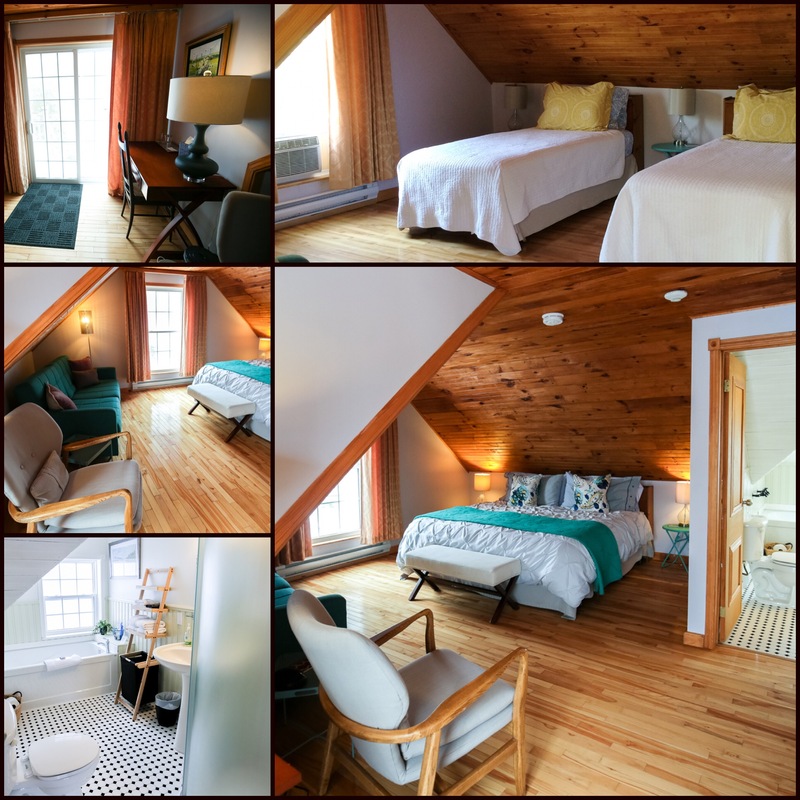 When you arrive you will select a bottle of Nova Scotia wine to enjoy in your beautiful room and Just Us! Chocolates complete the package. Add a dinner reservation and you’ve got the perfect ingredients for a Romantic Getaway. Details: Package includes accommodation for two for one night (1 room), breakfast for two, a bottle of local wine and JustUs! Chocolates in your room. Available year round, subject to room availability. Multiple night bookings are available. Call to book (902-633-2300, 1-844-633-2300). 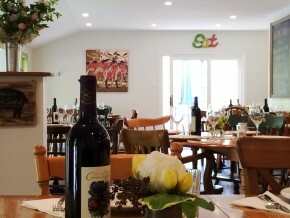 The Trio of Taste is a food, beer and wine tasting adventure to The Flying Apron Inn & Cookery, Avondale Sky Winery and Meander River Farm & Brewery. Our Trio of Taste package offers the chance to sample products from these Award-winning businesses. 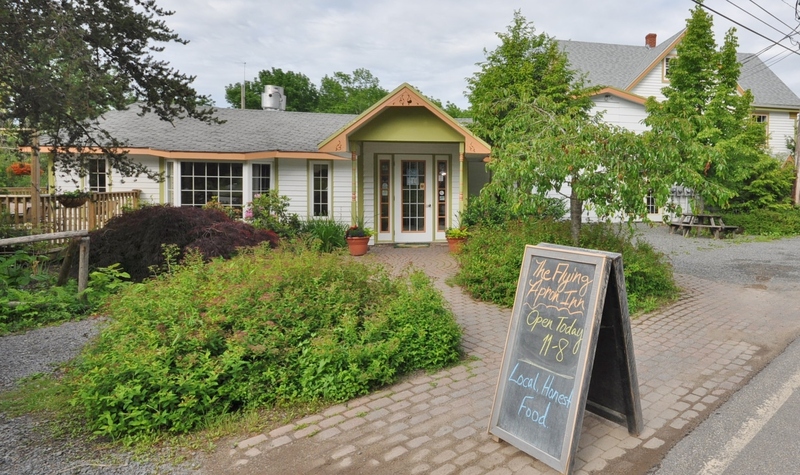 Spend two nights at The Flying Apron Inn and enjoy a hot, fresh breakfast each morning. Spend your days touring the local area and visiting Meander River Farm & Brewery and Avondale Sky Winery for tastings. Add meals at The Flying Apron or Avondale Sky’s restaurant for a full Trio of Taste experience. Browse the retail shops at each location for something special to take home. Details: Package includes 2 nights’ accommodation for two (1 room), breakfast for two, certificate for a wine tasting for two at Avondale Sky, certificate for a beer tasting for two at Meander River. Available year round, subject to room availability and availability of tasting times. Call to book: 902-633-2300, 1-844-633-2300. Details: Package includes accommodation for two people (1 room), breakfast for two people, a private hands-on cooking class (includes a full meal), and 2 Flying Apron aprons. Available year round, subject to room and Cookery School availability. Additional accommodations nights available. Call to book: 902-633-2300, 1-844-633-2300. Details: Package includes accommodation for six people (3 rooms), breakfast, a private cooking class (includes a 3-course meal). Rates depend on class type (demo or hands-on) and seasonal room rates. Published rates are based on 6 people, package is available for up to 10 people for additional fees. Available year round, subject to room and Cookery School availability. Additional accommodations nights available. Call to book: 902-633-2300, 1-844-633-2300. What a gem of a place. Of course the place itself was made much better by the people. Melissa the friendly hostess was attentive to every detail. She even got us last minute tickets to a local variety show in support of the local health centre. There are some phenomenally talented musicians and very funny people in Hants County. The meal itself that we had at the B & B before the event could not have been better. Service was excellent. My wife had a fish chowder and I had a spring garden vegetable salad with prawns. Everything is sourced locally or from sustainable growers.The hearty breakfast included bacon, eggs in whatever fashion, toast with homemade jam, fruit juice from Terra Beata, yogurt and fruit as well as delicious and plentiful Just Us coffee. The homemade jam (especially the blueberry/vanilla , real vanilla bean) was so good we had to bring a bottle home with us. The place is a bit out of the way but well worth the drive in the country. We will definitely be back! Our Flying Apron stay was a fantastic part of our journey. The family and staff so welcoming and accommodating and the establishment itself is a really cool inn. Our room was decent size and everything was updated nicely. The food was all prepared excellently including the desserts and (if you stay) the breakfast. 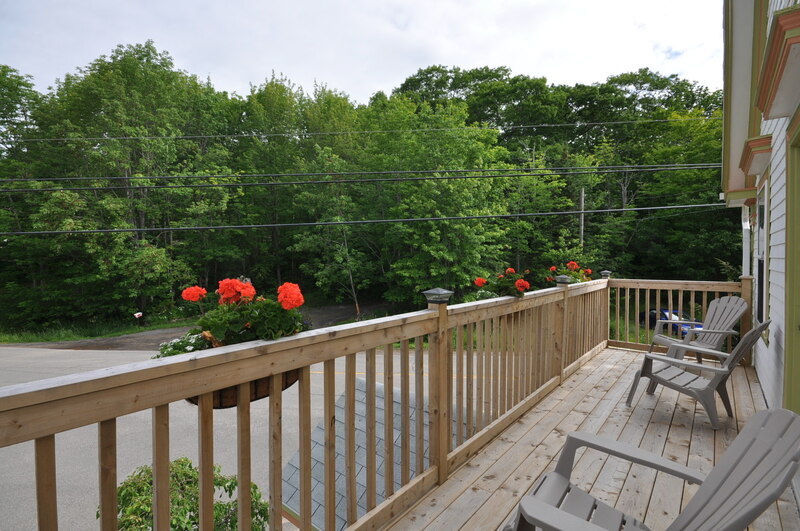 The inn is also centrally located so you can make several quick day trips to see the various scenic sites available in Nova Scotia. Owners Chris and Melissa Velden whip up excellent fare, including the breakfast included with the room! Chef Chris was Director of Culinary Arts for three years at the Pacific Institute of Culinary Arts. Melissa, a baker and former restaurant manager, brings her expertise and recipes to the inn. Rooms are cozy and comfortable. Thank you for a delightful stay! For the comfort and safety of all our guests, we have the following policies in place. 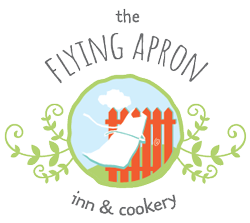 •	No Peanuts: The Flying Apron is a Peanut-Free facility due to a severe anaphylactic allergy within our staff. Do not bring any peanut-containing products into the building. We appreciate your help in keeping our staff and family safe. •	No Pets: Pets are not permitted in the building or on the patio, except registered service animals. 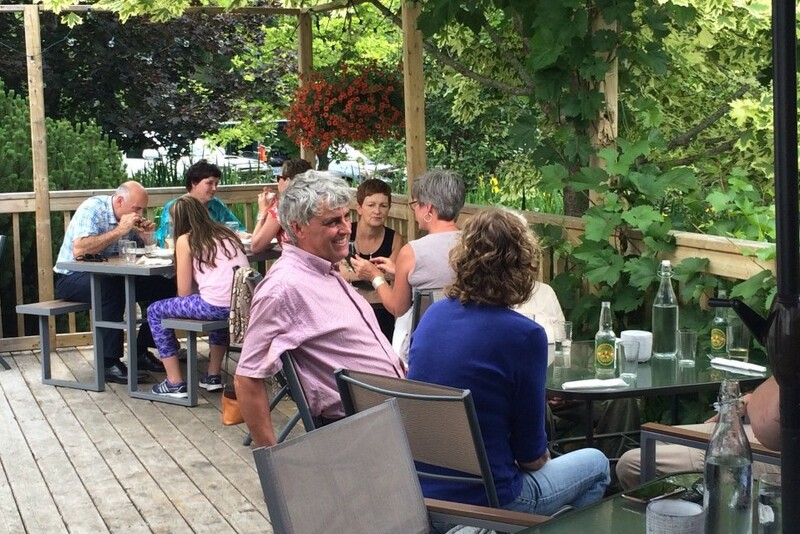 •	Alcohol: The Flying Apron Restaurant, Patio and Cookery School are licensed and our full list of NS beer and wine are available for purchase. Guests are welcome to enjoy their own alcohol in the Inn, but not in areas that are licensed (restaurant, patio, cookery school). Alcohol is not permitted in the bookstore. •	No Smoking/Vaping: Smoking and vaping are not permitted in the guest rooms or on the patios. If smoking is detected in a guest room, a cleaning fee of $200 will be applied to the credit card on record. •	Check In/Out: Check in time is between 3:00 pm and 9:00 pm and check our time is before 11:00 am. Exceptions to this time may be available with advanced notice, depending on availability. •	Quiet Please: For the comfort of all guests, quiet hours start at 11:00 pm. •	Breakfast: A made-to-order hot breakfast is included with your accommodations. Breakfast is served in the restaurant between 8:30 and 10:30 am, unless prior arrangements are made. •	Need Anything? If you’ve forgotten anything, there is an amenities basket in your room with common toiletries items. We are also happy to bring you extra towels or other items to make your stay comfortable, simply ask our staff. Unless there is an emergency, it is our policy to not enter your room without your express permission. If you need anything or would like the room made up, simply ask. •	After-hours Access: The Inn entrance on the side of the building is your after-hours access. If you will be returning after hours, please take your keys. Please keep the door locked when not in use. •	Common Areas: Feel free to use the common areas including the TV lounge on the second floor and the bookstore space on the main floor. Please enjoy the gardens and outdoor spaces during your stay. •	Room Damages: Any damages to a guest room or other Inn property by a guest during their stay or removal of items from the Inn will be the responsibility of the guest. Repairs and/or replacement will be charged to the credit card on record. •	Lost Keys: There is a $200 fee for lost room keys as we are required to change the room lock and outside entrance lock when a key is lost. This fee will be charged to the credit card on record if the room key is not returned.